Although you beat him with the rod, he will not die. so that he may rejoice at the way he turns out. and will boast of him among acquaintances. and will glory in him among his friends. and at death, without grief. and one to repay the kindness of his friends. and will suffer heartache at every cry. and an unchecked son turns out headstrong. play with him, and he will grieve you. and in the end you will gnash your teeth. and do not ignore his errors. and you will have sorrow of soul from him. so that you may not be offended by his shamelessness. 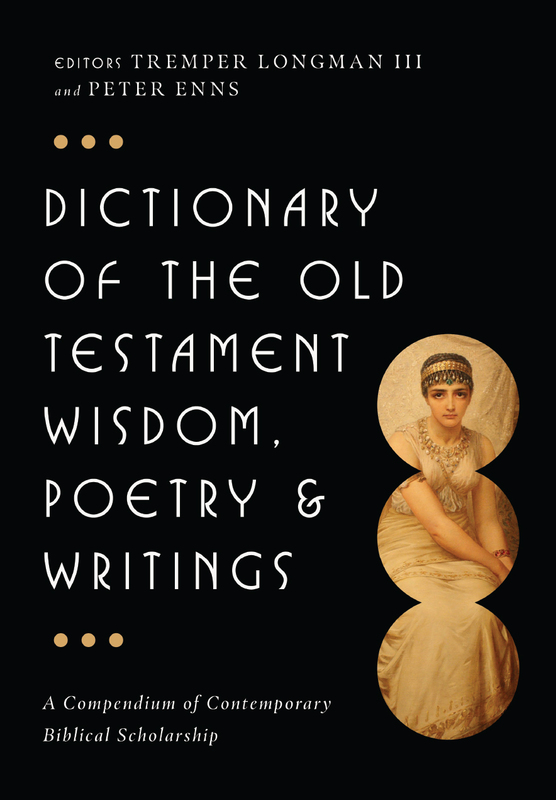 Did you ever wonder why Sirach’s wisdom was translated by his grandson and not his son? I think the answer lies in the words above! I also think the above passage is sufficient to prove the error of canonising the apocryphal books! But seriously, what are we to make of the advice in Proverbs? For many, it would seem, these aphorisms form the basis for promoting corporal punishment (you could even by a “rod” for a while in the US). But let me outline the reasons I think that such a conclusion is premature. Proverbs is not a book of rules. Now although just about everyone agrees on this point, for many it ultimately has little impact on the reading of Proverbs! Proverbs require wisdom to be correctly understood and applied. They are brief snippets of advice not comprehensive tomes encompassing all there is to say on a particular topic. They rely on the wisdom of the person using them to be able to use them correctly and they can be misused by fools (see Prov 26:7, 9). So we should not understand a single proverb on the topic of disciplining children to provide us with all there is to know on the topic! If you look at the proverbs relating to disciplining children you’ll note that just about the only method of discipline mentioned is the use of “the rod.” Very few people today would suggest that the rod or even corporal punishment should be the only means of discipline we use on our children. 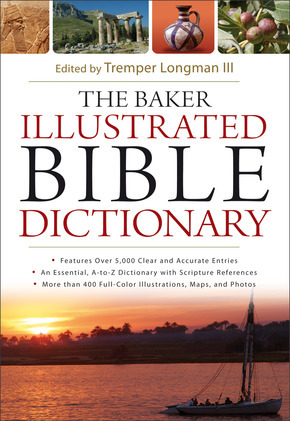 So are they inconsistent and unbiblical? As is typical, the proverb has two opposing parts—the first tells us that “the rod of reproof gives wisdom.” What does the opposing half of the proverb say? Does it say “but a child who is only sent to his room brings shame to his mother”? “But a child who is grounded brings shame to his mother”? “But a child who’s pocket money is taken away brings shame to his mother”? Does it contrast “the rod” with any other form of discipline in order to tell us that the rod is the only means of discipline that works? No it doesn’t! It contrasts “the rod” with not disciplining at all! It contrasts “the rod” with allowing the child to get away with anything without any consequences. Here, then, is the hermeneutical crux of the matter. Proverbs uses “the rod” as a convenient way to refer to discipline in general, in contrast to not disciplining. Now there’s no doubt that, in the ancient world, corporal punishment was pretty widely employed. But correctly understood, I do not think Proverbs can be interpreted as mandating corporal punishment as normative. On the other hand, Proverbs can’t be used to argue that corporal punishment is never appropriate. Proverbs affirms discipline over against not disciplining, it should not be interpreted as providing rules about the appropriate means of discipline, and to treat it as such is to make foolish use of biblical wisdom! This entry was posted in bible, proverbs. Bookmark the permalink. Great post — a blog comment cliché that in this case means I wholeheartedly agree. Incidentally, I have often made a similar claim to your point 2 in discussions of Proverbs, and found that your comment under point 1 also applies: people nod agreement, and then practically ignore it. Is your book only available online? Thanks for the comment. Yes, some people do seem to think that if they treat Proverbs like rules they’ll become wise, but Proverbs makes it clear that fools can quote proverbs as easily as the wise. 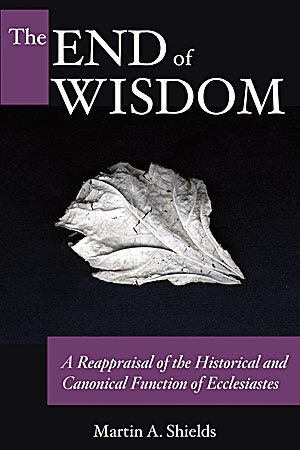 My book, The End of Wisdom could be ordered by a bookstore and should be in all good theological libraries (! 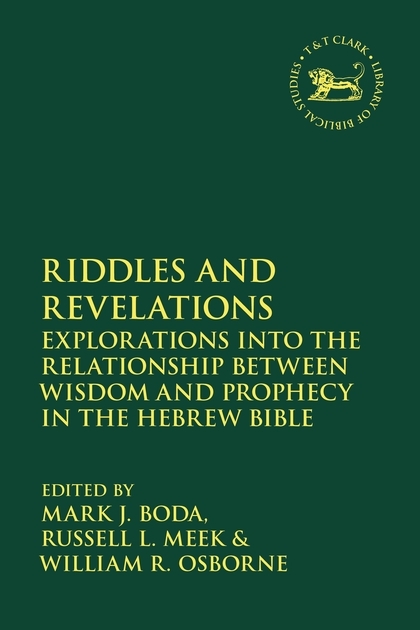 ), or purchased directly from Eisenbrauns (click on the book to get to their page). 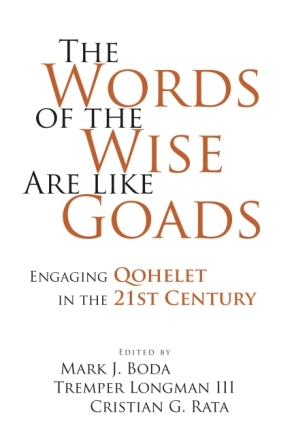 It is primarily a discussion of Qohelet/Ecclesiastes. I may write a post or two on that topic in the future.